Companies that are accustomed to buying certain products repeatedly are more likely to forge sturdy relationships with their suppliers. It is this relationship that allows them to haggle the terms of a sale and in turn, the suppliers allow negotiations due to the profitability they perceive in continuing their engagement with a certain bulk buyer. It is for this reason that if you are a manager or an owner of a large company, it is best that you are able to create an updated vendor list, which will be used as reference for your company’s purchasing department. 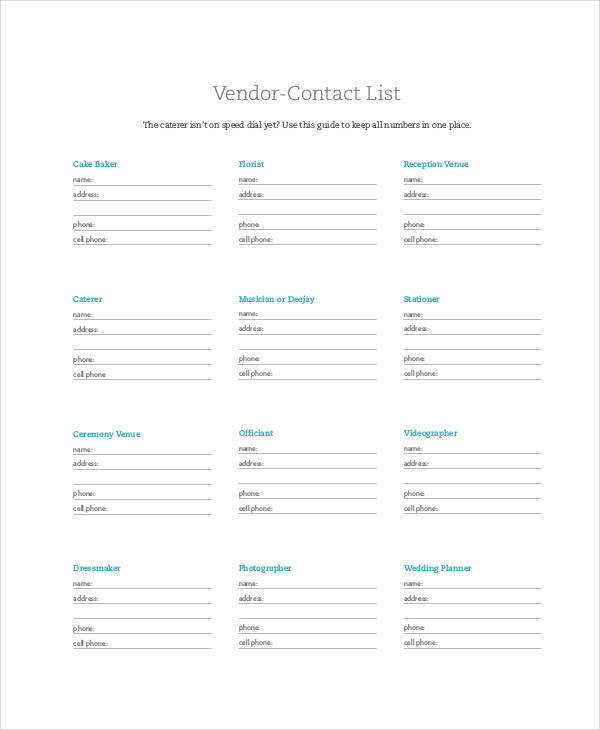 For your convenience, we have made available for your usage a variety of vendor list templates that you download easily. 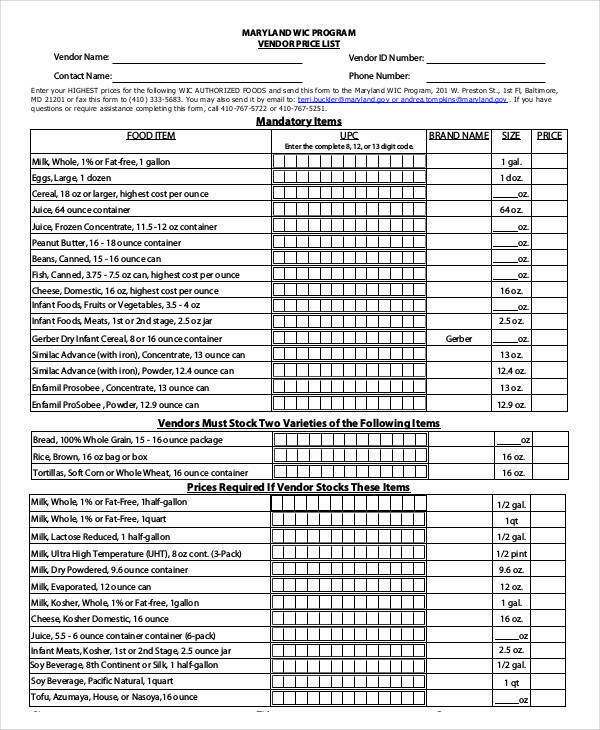 Moreover, our website also contains templates for basic grocery lists and every to-do list template that you may need. 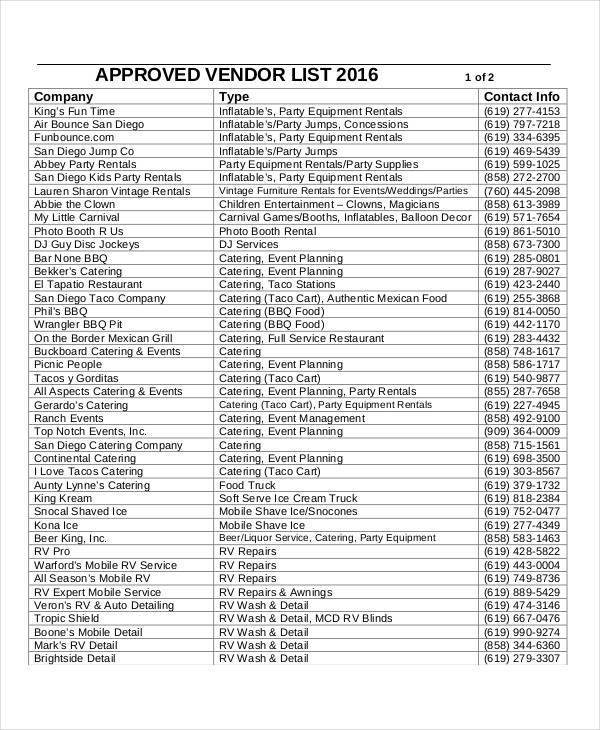 What Is a Vendor List? 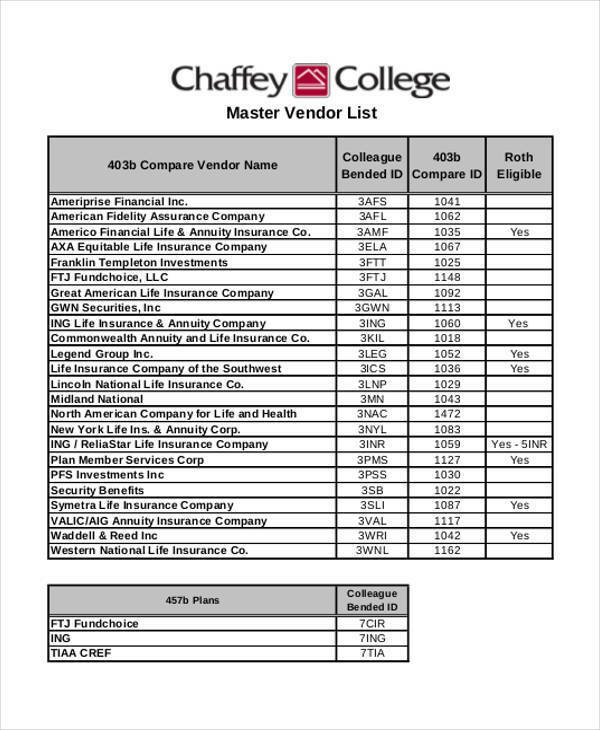 A vendor list is a document that contains an enumeration of all the previous suppliers and vendors that a company prefers to keep on purchasing items from. 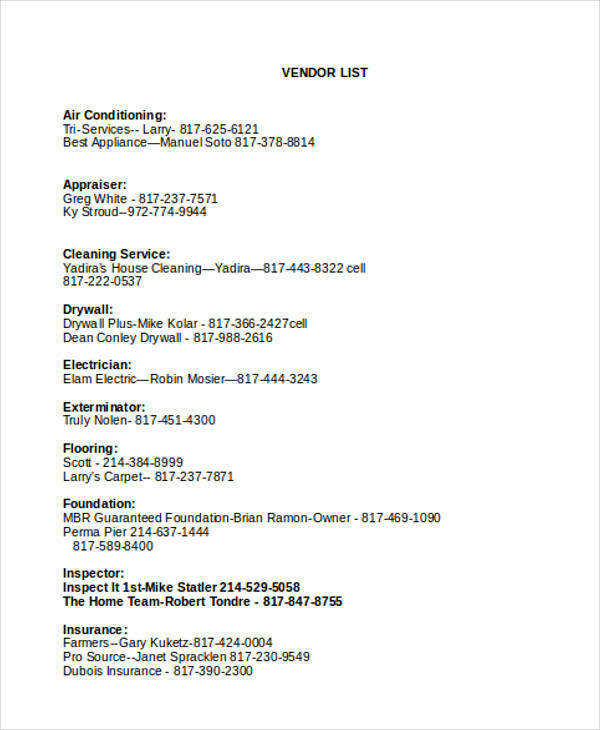 This list contains the important information about a supplier such as its company name, mailing address, contact number, and email address. The purchasing department of a company would find it easier to make purchases as they do not have to search for companies that offer the products that they are looking for. 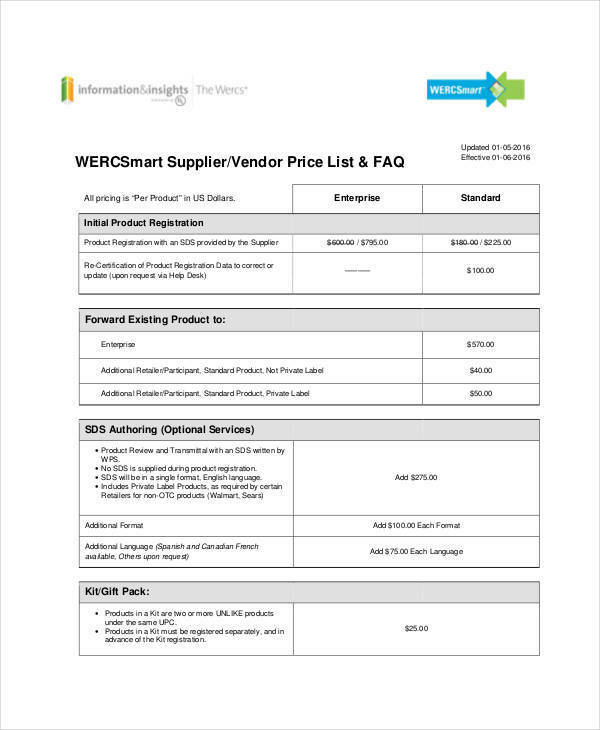 By continuously purchasing from suppliers in your vendor list, these suppliers are more likely to give you discounted prices as they perceive the higher benefit of retaining your company as one of their top buyers. A company can also benefit from having a vendor’s list as this makes it easier for them to make inquiries regarding the prices, delivery method, and other conditions of a sale before they make a purchase. Thus, it becomes easier for companies to manage their financial goals. 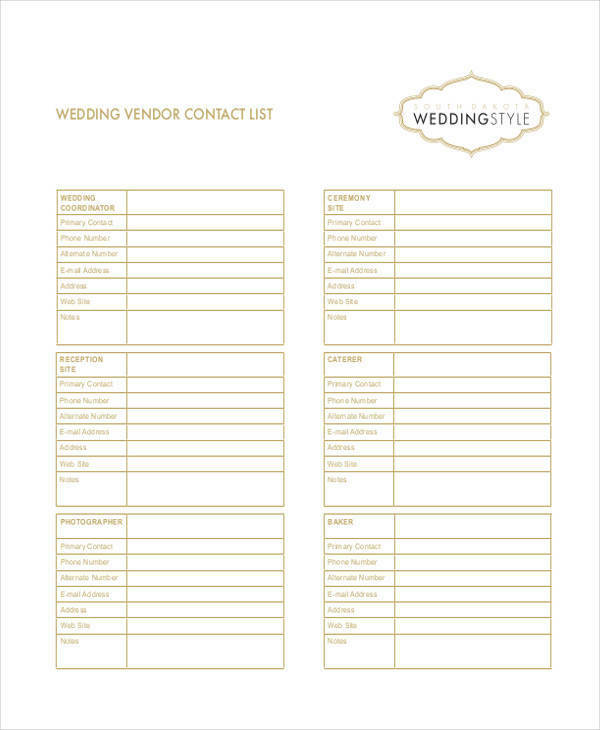 For future listing needs, we also have task list and wedding list templates that are available for download! 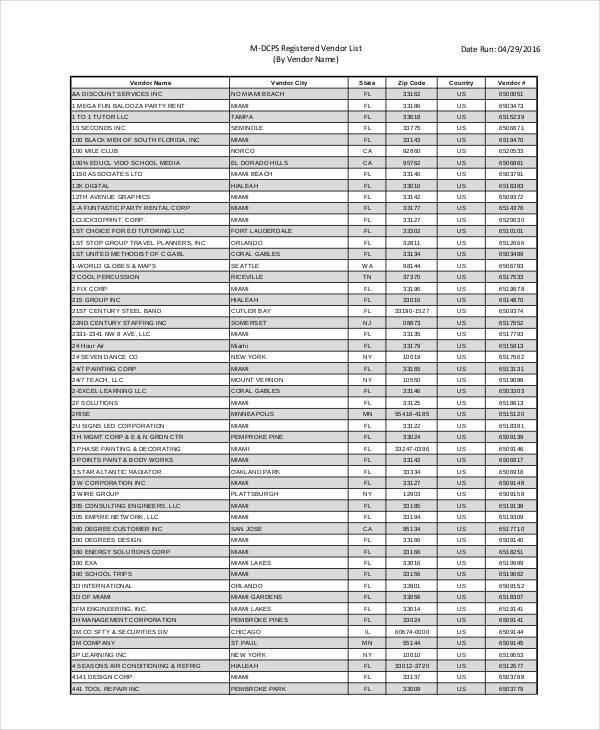 Examine your purchasing history. During this stage, identify the suppliers that are malleable when it comes to adjusting prices, delivery time, and are generally inclined to allow rational negotiations of certain aspects of a purchase. Categorize your suppliers according to your preference and according to the type of goods you that they sell. 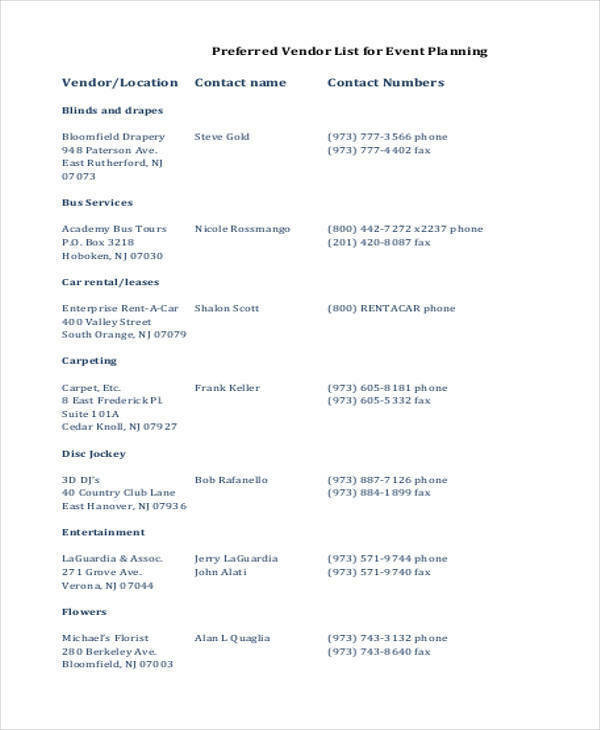 Make inquiries regarding the basic information of your chosen suppliers. Create a column beside the basic information of each supplier that serves as the area where you can write down notes regarding your previous dealings with it. 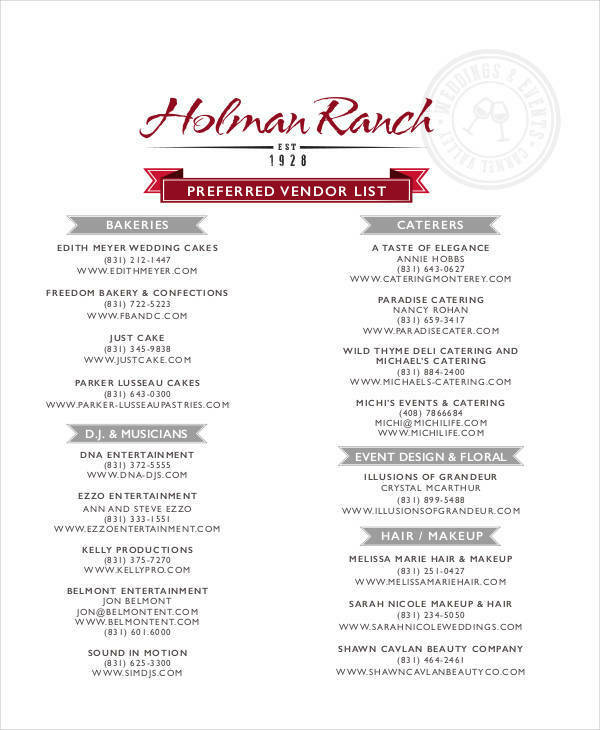 For future listing needs, you may check out our collections of packing list, inventory list, and printable list templates.